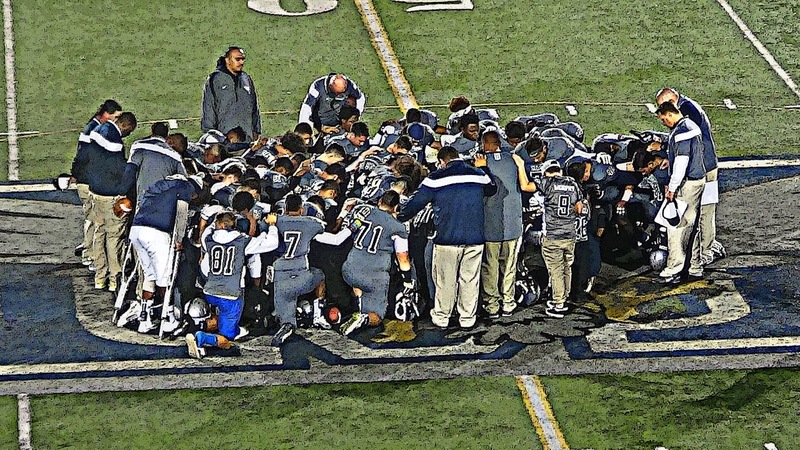 Madison players and staff meet in the middle of the field for a team prayer before their playoff contest vs. Point Loma. After a 49-28 playoff win over the Point Loma Pointers (9-3), the Madison Warhawks (8-3) will travel to Carlsbad next week to take on top-seeded La Costa Canyon in the Division I semifinal round. We had the privilege of speaking with Warhawks head coach Rick Jackson, senior quarterback Kareem Coles and running back Isaiah Osborne. Check out the video below for their postgame reaction and highlights from the game.